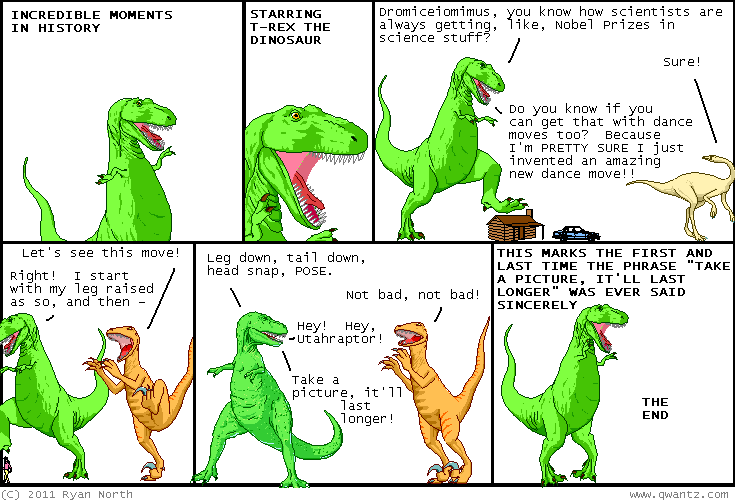 Dinosaur Comics - April 14th, 2011 - awesome fun times! –What if things were FAMILIAR, AND YET MARKEDLY DIFFERENT?? April 14th, 2011: Nobody in Montreal touched my bum today but I bought some batteries. Montreal is a city of highs and lows. One year ago today: I can buy a phone that doubles as a CORDLESS TELEX MACHINE, Utahraptor.